Washington state is set to reach out to social network users early next week by offering its residents the chance to register as voters via Facebook. 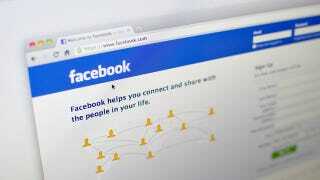 "Your information is coming to us from Facebook but you can do that without leaving Facebook. Your name and date of birth are pulled from Facebook profile, then it operates exactly as it does if you're not in Facebook. Our state database checks to see if you're already registered. If you are, it will take you to MyVote service, [where] you can update registration information. You also need a Washington state ID or driver's license. We do another real-time check to match that this is a real person who is registering." And then, bingo, you're registered to vote. It seems like an incredibly sensible idea, especially given that in the last four years almost 500,000 voter registrations in Washington state were made online. Internet registration actually saves the state $0.25 a pop, too, so encouraging people to sign up via Facebook is a shrewd financial move as well.